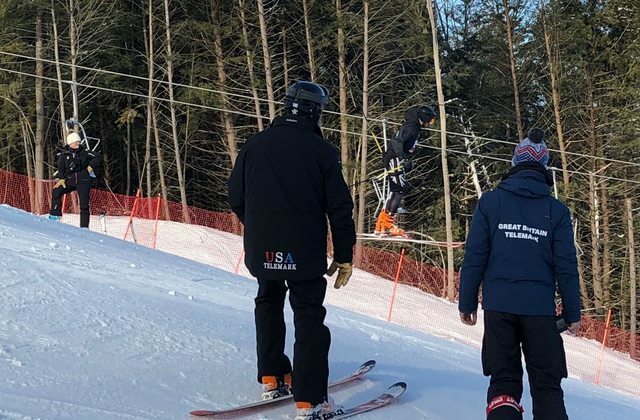 For anybody with an interest in seeing some really fast telemarkers the FIS world cup will be at Suicide Six Saturday-Monday and Sugarbush Wed- Friday. A bunch of local folks will be racing and a fair number of racers from Waterville Valley will get starts. Its pretty amazing to watch them hit the gates and jump. I recommend it for anyone can make it. I hope to watch some that Friday at Sugarbush. Unfortunately, there's no citizen's class for these races. I really wanted to race citizens class at both S6 and the Bush in these races. Unfortunately, I need to alpine coach a couple local kids at U12/U14 races both weekends, argh! Enjoy all, have fun, take pics, and report back please! benny wrote: I hope to watch some that Friday at Sugarbush. Really? Guess I don't feel as bad anymore cause I can't go race anyway. Oh well! Its true, FIS licenses are required to race in the world cup. Not really a big deal but the process takes time. telehubby wrote: Its true, FIS licenses are required to race in the world cup. Not really a big deal but the process takes time. 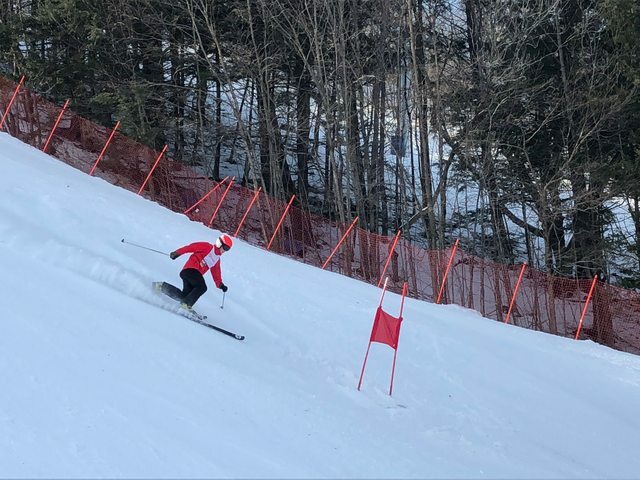 There will be two days of racing at Waterville Valley with a Sprint Classic held both February 24 and February 25. Do you know if each day is a separate event? Are there going to be any footage uploaded online for us who can't make it by any chance? Casiano, I don't think there will be any video uploaded even though I saw a FIS video crew there. Check https://livestream.com/TeleHo/events/7950607 for the livestream and archived race footage. Benny, the Waterville event will be two separate sprint classic races. Two runs each. Yesterday's race was fun, there were two first time winners, Jasmine Taylor from Great Britain and Jure Ales from Slovenia. Being a gate judge I couldn't get much for photos but saw some jump practice. I don't have to gate judge forerunners..
Today is the Parallel Sprint which is the most exciting race to watch as the racers come in to the rap together! Does anyone know the detailed schedule of the Waterville Valley Races - when is the citizen's race? The USTSA site does not list specifc race times. I am the world's slowest telemarker, but I still love racing.
" Registration and check in will be on the second floor of the base lodge from 8:15 am until 9:00 am. Inspection will run from 9:00-9:45 with a 10:00 start. The event will conclude with awards and a raffle at the conclusion of the second run." I don't recall the order they usually run in, but it all goes pretty quickly. I think it's all here....post pictures and video if you go.